Does Guyana need more VICE like this? The remodeled Satro building on Croal Street that now houses iBet Supreme. 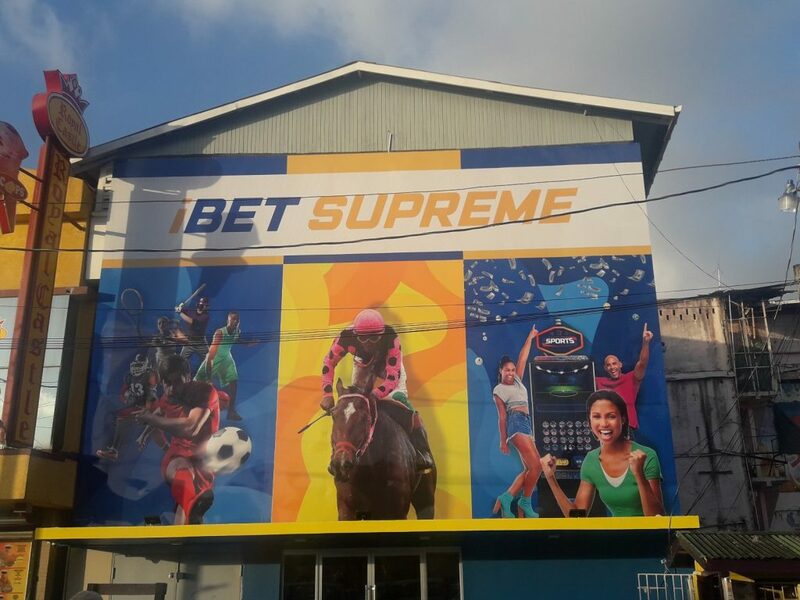 The publicly traded Jamaican betting and gaming company, Supreme Ventures, has expanded its direct operations overseas for the first time, with its first stop being Guyana, a top official said. Chairman of Supreme Ventures (Guyana Holdings), Walter Scott said the company entered the Guyana market after engagements with the Guyana Revenue Authority (GRA), the Gaming Authority and the Financial Intelligence Unit (FIU). Scott said the company, which is traded on the Jamaica Stock Exchange (JSE), could not afford to violate any anti-money laundering other laws and regulations or it could be pulled from the JSE. “We cannot operate in any unregulated environment because if we do, our home regulator will pull our licence,” the Attorney-at-Law told Demerara Waves Online News. He said the company invested US$800,000 in converting the Satro Store on Croal Street, Stabroek, Georgetown into its flagship store in Guyana.”We are here for the long-run,” said Scott, a former Chairman of Jamaica’s Betting, Gaming and Lotteries Commission. 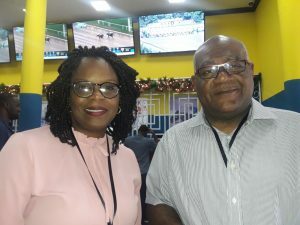 The modern betting store, which held its soft-launch on Saturday December 8, 2018, is bringing live horse racing from Caymanas Park in Jamaica, United States and eventually the United Kingdom next year. Gaming machines with popular themes such as Animal Athletes and El Toro among others, the company said, would also be introduced to the local market. The formal launch of the Guyana operations is scheduled for early 2019. Asked what would be required to add Guyana’s turf clubs to Supreme Ventures Limited’s offerings to the wider Guyanese community, the Chairman said the local operators would also have to be “strongly regulated” as are other providers in Jamaica, US and the UK. “The first thing that needs to be done is to have a robust regulatory environment for both sides,” the Supreme Ventures Limited Chairman said. Scott also added that the physical facilities and features at Guyana’s horse racing facilities would also have to be improved to the required standards, although he acknowledged that he did not visit any. Chief Financial Officer of Supreme Ventures’s (Guyana operations), Guyanese Melisa Mc Rae- George and the company’s Chairman, Walter Scott QC. Chief Financial Officer for the Guyana operations, Guyanese Melisa Mc Rae- George, who has chalked up 19 years of experience in accountancy, was the first Guyanese to have been hired and subsequently trained in Jamaica ahead of the company opening its doors in Georgetown. Along with two other persons in her department, she is tasked with ensuring there are strong internal controls. “I’m pretty excited to be part of this new venture in Guyana. I’m part of the first batch of employee and we are all excited,” she told Demerara Waves Online News. Mc Rae-Scott expects that her new assignment would allow her to add value based on her experience and academic background. Supreme Venture’s Guyana operations currently employs 12 persons, and the company plans to increase its locations countrywide. “Our ultimate goal is to become the market leader in any market we enter by providing the best product and service to our customers. We work closely with our regulators to build and expand markets, always ensuring that we adhere to governance guidelines and policies,” the company said. The company says it will be introducing pool betting to Guyana, which provides better payout options for punters who are currently serviced by traditional bookmakers offering fixed odds. “This opens up the market to a much larger pool of betting on races in Jamaica and the US; the bigger the pool the bigger the payout winnings,” the company says.